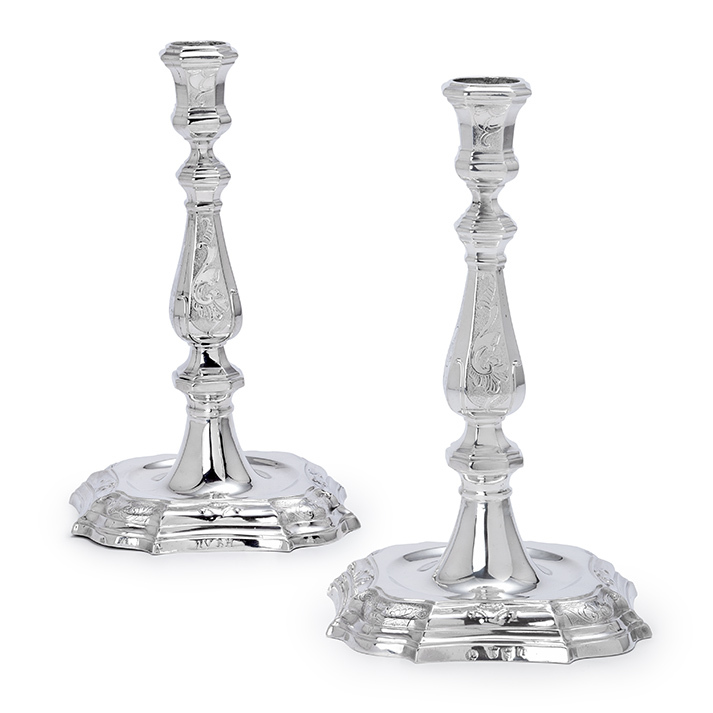 The Régence candlesticks on shaped moulded bases, rising to baluster knobbed stems with campana-shaped sconces, are engraved with rocaille ornaments. Engraved on the foot rim with the initials IVBH. Fully marked on the foot rim and displaying an assay stripe. Arnoldus Koolhaas (Coolhaas), was born in Zutphen in 1700, where his father Jan worked as a silversmith. Presumably Arnoldus was trained in his father’s workshop. 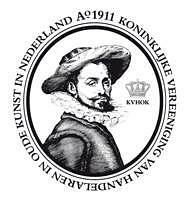 However, Arnoldus did not stay in Zutphen, for he became a master silversmith of the Utrecht guild in 1728. He was married to Maria Pott in the Janskerk in Utrecht in 1726, after the formal wedding announcements had been made in Zutphen. During his productive life Arnoldus Koolhaas held many positions within the guild. He became busmeester in 1729, assay master from 1730- 1746 and dean of the guild from 1747-1755. As a productive maker of profane silver, such as candlesticks, Arnoldus became a prosperous man, who could afford to buy real estate. In 1726 he lived with his wife at Donkere Gaard in Utrecht. In 1743 he bought a house, called Witte Arend (White Eagel), situated at Oudegracht/Lichtegaard. This house, bought from the estate of Maria van Lommen, used to be the dwelling of silversmiths from the beginning of the sixteenth century till 1852. After Arnoldus’ death in 1755 his son Jan, also a silversmith, remained in the house until his untimely death. Widow Maria Pott eventually sold the Witte Arend to the Utrecht silversmith Johannes van Monsjouw in 1770. Exhibition catalogue, Zilver, Centraal Museum Utrecht, 1972, nrs. 70, 71, 72, 78, 80, 81, 82.